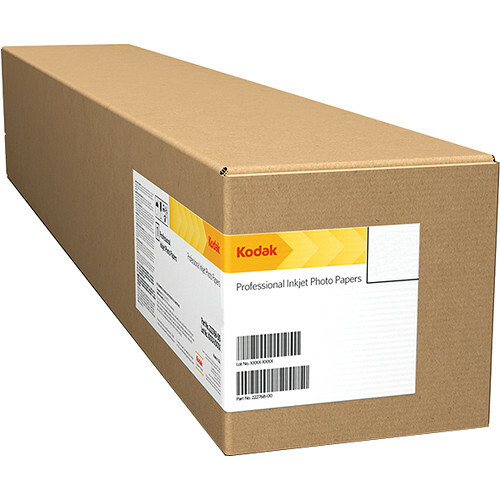 Designed for accurate color reproduction and high-resolution output, this 44" x 100' roll of PROFESSIONAL Inkjet Photo Paper, Matte from Kodak will satisfy many demanding photographers and artists looking for a high-quality media for their prints. The smooth, neutral-white matte paper is acid free and instant drying and offers a weight of 230 gsm and a thickness of 9.5 mil. Also, it has a rated opacity of 98% and a whiteness of 95%. Additionally, it comes on a 3" core.